Wong Kin-yu is one of the most active organists in Hong Kong. She has given numerous organ recitals, piano duet/ organ duet recitals, organ and trumpet duo recitals and appears frequently as accompanist for singers and choirs. Besides performing in Hong Kong, she has performed as soloist, ensemble player and accompanist at major concert halls and churches in Guangzhou, Hangzhou, Shanghai, Shenzhen and Beijing. She has also been invited to be a jury member of the Beijing and Changzhou Organ Competitions. She has given master classes and organ recitals at the Central Conservatory of Music, Beijing and the Shanghai Conservatory of Music. For many years, she has been the organ teacher at the Chinese University of Hong Kong, the HK Academy for Performing Arts and the HK Baptist University. And for more than thirty years, she has served as the accompanist of the Hong Kong Oratorio Society and the organist of the Kowloon Methodist Church. Wong Kin-yu studied the piano with Doris Chan and the organ with Dr. Ingeline Nielsen. A graduate of the Chinese University of Hong Kong, Wong also holds the Diploma in Education (University of HK) and the LRSM, LRAM, ARCM diplomas in performance and teaching. After graduation, she pursued her studies at the Royal Academy of Music, London where she studied organ with Douglas Hawkridge and piano accompaniment with Geoffrey Pratley. At the Academy, she was awarded the Frederick Keene and Henry Richards organ prizes for her outstanding achievement. She has participated in master classes of world-renowned organists in the Netherlands, France, Spain, Switzerland, Germany and Italy. Peter Yue graduated from the Royal Academy of Music in London where he studied the organ, piano, accompaniment and choral conducting. During his years at the Academy, he obtained the Professional Certificate (RAM), the L.R.A.M. Diploma and was awarded the Frederick Keene Prize for Organ Performance. He is also a holder of the L.R.S.M. Diploma. Since his return to Hong Kong, he became a staff member of the Music Office of the Hong Kong Government, and had been very active as an accompanist to local and visiting instrumentalists, vocalists and choirs in concerts. 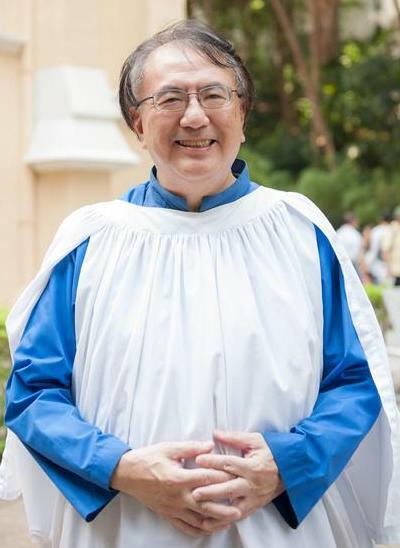 He has also given organ recitals at the Hong Kong Academy for Performing Arts, the Hong Kong Cultural Centre and St. John’s Cathedral where he is now the Organist. He is also an organ instructor at the Chinese University of Hong Kong. Hilary Ho is currently studying in Hong Kong Baptist University, majoring in piano performance and pedagogy. She is now studying piano under the tutelage of Ms. Hui Ling and had studied with Dr. Yap Man-Shan. She studies organ, harpsichord and fortepiano as minor instruments under Ms. Wong Kin-Yu, Prof. David Chung and Ms. Constanze Lee respectively. Ho has keenly participated in chamber music, particularly in piano duo. She was the first-prize for both the 3rd Piano Bridges International Competition in Saint Petersburg of Piano Duo category in 2013 and the 7th Shenzhen China Piano Duo (Two Pianos and Four Hands) Competition of teacher category in 2012. She was also twice awarded the Talent Development Scholarship by the HKSAR Government in 2013 and 2014 in recognition of her outstanding musical and academic achievements. Ho has appeared as soloist and chamber musician giving performances locally and abroad in England, Russia, China and Hong Kong. She was twice invited to perform solo and duo recital of Collegium Campanella and Friday Sensation of Musica del Cuore – HK. In 2016 summer, she performed in Beijing International Music Festival & Academy. During her studies in the university, she has worked with the world-class soprano Nicole Cabell as répétiteur. 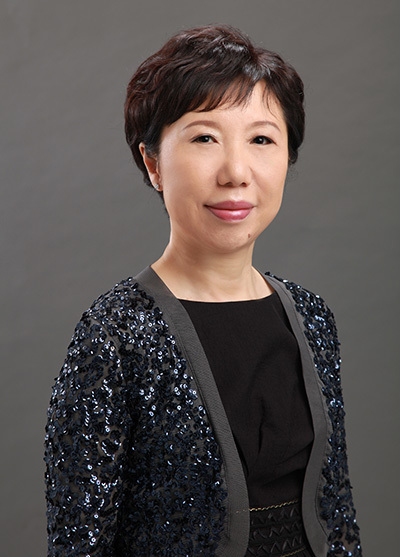 She is currently the continuo keyboardist of the Collegium Musicum Hong Kong and the keyboardist of Hong Kong Baptist University Symphony Orchestra. She is also the piano accompanist of the Hong Kong Oratorio Society, the Hong Kong Baptist University Choir and the Hong Kong Baptist University Women’s Choir. She has served as and has also been a guest continuo keyboardist of the Hong Kong Baptist University String Ensemble. Yee-ming Huang received her BA in Piano Performance from Fu Jen University in Taiwan, and both MM and Graduate Diploma in Piano Performance from New England Conservatory. She was on the faculty of her alma mater, Taipei Kwong Jen Music Academy before moving to Hong Kong. Yee-ming was the Assistant Principal of Keyboard with the Hong Kong Sinfonietta, and has accompanied the Hong Kong Oratorio Society and the Ella Kiang Singers. Yee-ming is currently a music faculty member of The Education University of Hong Kong. HKOS was honored to have participated in this charity concert, too.